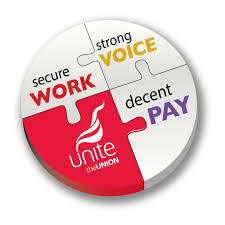 'Work Voice Pay monthly' from Unite contains regular 'bite size' suggestions for bargaining. Are you taking up work life balance with members where you work? Let us know what you think and read the short guide below. A partner goes into labour unexpectedly; a child is injured on a school trip; an elderly parent falls and is taken to hospital … looking after our loved ones sometimes means it is impossible for us to be at work. All employees, from day one, are entitled by law to take unpaid time off to deal with an emergency involving a dependant. However, you only get paid time off if it’s in your agreement or your employment contract. Parents, spouses, civil partners and your children all count as dependants. Any other relatives, friends or unrelated children who live in your home as family also count - but only if they are living there ‘as family’ (so not lodgers etc.) Other people who ‘reasonably’ depend on your help will also qualify as your dependants. For example, an elderly or disabled neighbour who needs your help in an emergency would also count. However, the law does not recognise animals as dependants – so an emergency involving a pet dog or cat won’t count. Because this right relates to emergencies, it doesn’t normally apply to situations that are known about in advance. For example an employee wouldn’t be covered if they want to take a child to hospital for an appointment booked some time before. It is also important to note that the law doesn’t count personal crises, such as relationship problems, as emergencies. Nor is there any legal right to time off for emergencies that just involve your home or possessions, such as a burglary, a fire or a broken boiler. Situations that do count include illness, injury or assault of a dependant; death of a dependant; disruption of normal care arrangements, an incident with your child at school; and a dependant going into labour. As well as dealing with the emergency itself, employees are entitled to time off to make arrangements related to the emergency such as arranging and attending a dependant’s funeral or arranging long-term care for an injured or ill dependant. Having a specific compassionate bereavement policy (you can make this demand in the Unite Pay Claim Generator).